Planning an adventurous Costa Rica Tours? And have several places in mind, but do not know where to begin? Well, Costa Rica is not only a holiday destination; it’s an experience of a lifetime! This small country does have not only environmental attractions but also great culture and history. It has an array of tourist attractions that can be covered when you plan for a tour in Costa Rica. The long list includes misty forests, majestic volcanoes, miles of serene beaches along the coasts and spellbinding river valleys. When you visit Costa Rica, your tours must also include birdwatching tours because the country is the world’s most biological and diverse place with more than 500,000 animal and plant species. When you mention Costa Rica, one cannot forget mentioning about 870 different species of chirping beauties that one can spot there! We are here to recommend you the best travel destinations Costa Rica offers to its explorers. So, if you are ready to discover Central America’s most amazing country, read on. Arenal Volcano is the most active andesitic stratovolcano in Costa Rica. 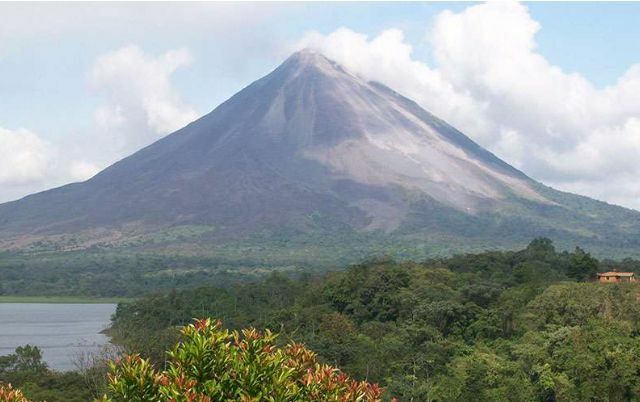 Arenal had last erupted in 2010. While it is still alive, Arenal is considered to be just sleeping. Hence, it is a perfect destination for travelers as it is a rare sight to watch. There are so many other things to explore in the surrounding areas of Arenal. These will give you a thrilling experience such as whitewater rafting, rainforest hikes, horseback riding, etc. San Jose is the most significant city of Costa Rica. This cosmopolitan town also has a historical and traditional heritage to offer to the visitors. Along with many wonderful museums, it has numerous colorful markets, shopping centers, and bars. 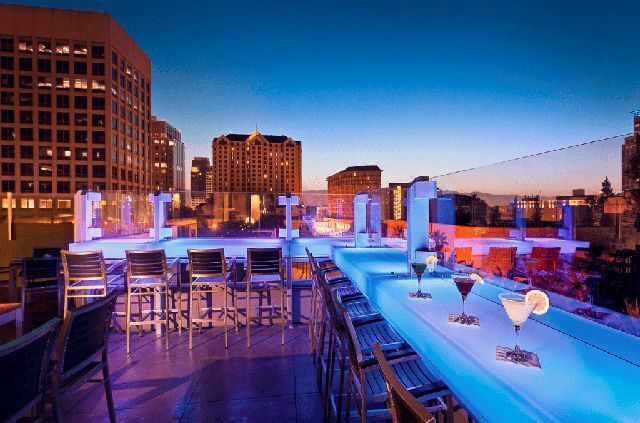 Other than these daytime fun activities, the nightlife in San Jose is also phenomenal. Corcovado National Park is one of the best biologically diversified place on the planet. Drake Bay is also a hot spot destination that we as Costa Rica tour experts advise visiting. The place is a paradise and has world-class beaches with blue water and bright sand. These beaches are ideal for a laid-back family vacation. 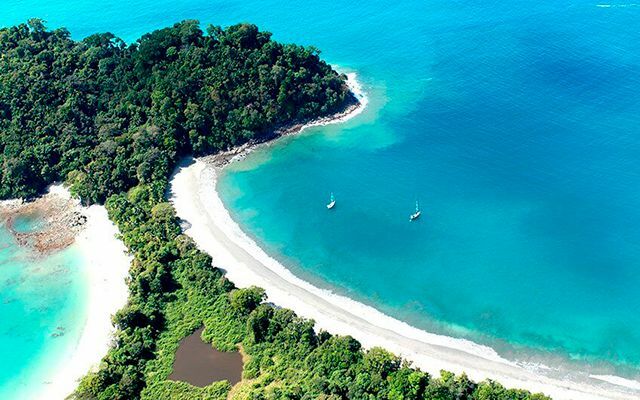 Another attraction of Manuel Antonio is its National Park. Although this park is located in a small area, yet it is known as the wealthiest place in terms of wildlife, and natural beauty. 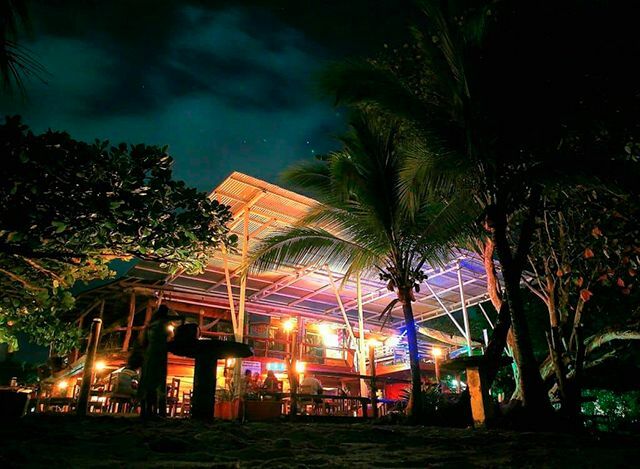 The Puerto Viejo does not have flashy clubs, but it has beach bars, classic discotheques, and laid-back lounges. You can hear the loudest music beats in the environment that indicates where the party is! There are some finest places in the south of the town where visitors can go to drink, dance to reggae beats and meet locals. Playa Guiones is a seven km stretch of glittering white sand and is a favorite tourist destination for nature lovers. 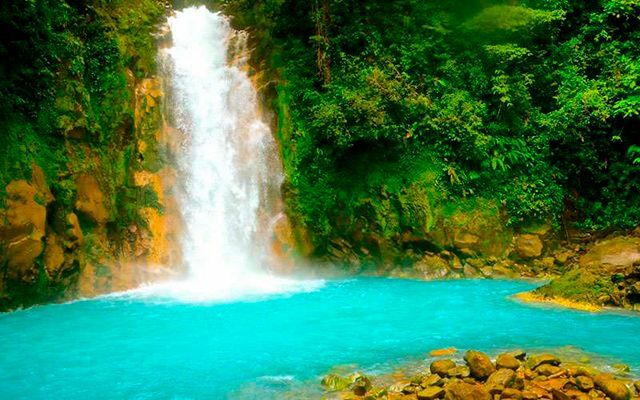 The crystal clear water and serene surroundings make it a must-visit destination in Costa Rica. 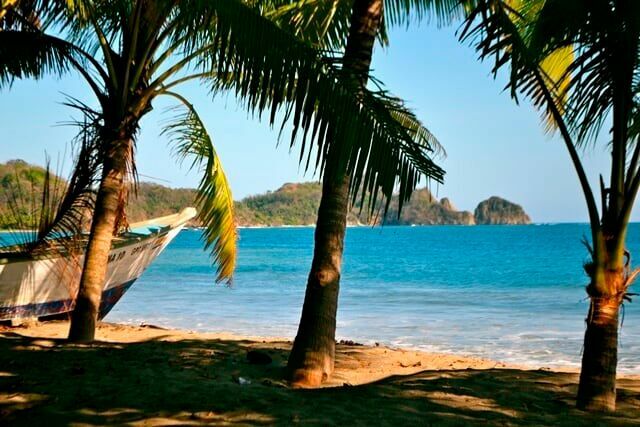 The beauty of Nosara has earned it its rank amongst the top 10 beaches in Central America. Now, you know which about the most important place to have in your Costa Rica tours. Let us know which one is your favorite in the comments section below. Located close to the main hotels in Costa Rica. You can easily reach this magnificent waterfall by a short car ride followed by a horse ride or a hike. The hiking can be a bit challenging thus adventurous people only should take this route. But, the exertion is totally worth seeing the 200 feet waterfall mesmerizing your eyes. Refresh your soul and mind with a swim or spend quality time with your loved ones around the place. 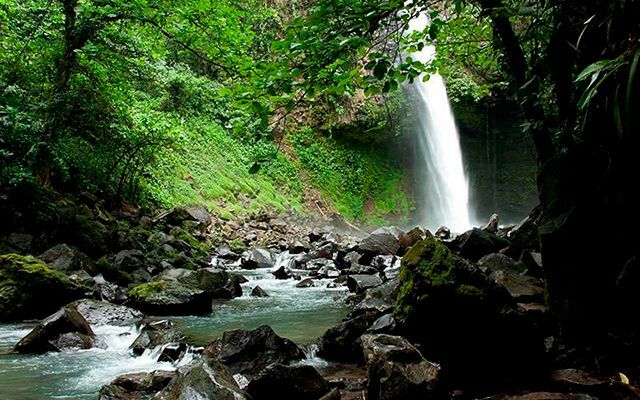 Without a doubt, Celeste river is one of the natural wonders of the beautiful city Costa Rica. I am sure once you plan a trip here, it is on your ‘Must Visit Place’. The spell-binding blue water makes you believe that it’s artificially colored as it is no perfect light blue! If you are game for some adrenaline rush, then hike up to 3 hours to reach this heaven! 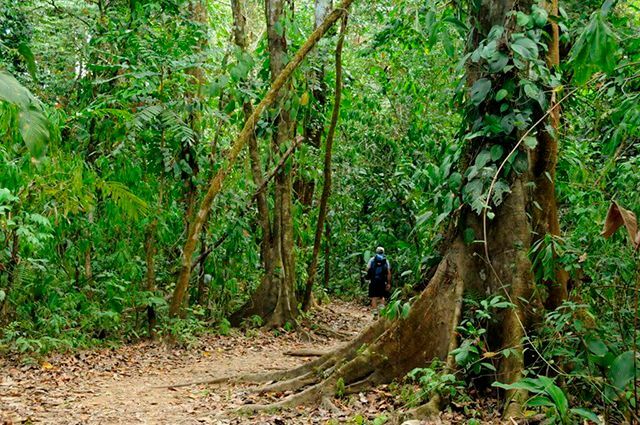 The hiking is also an experience in itself as it is through the rainforest mostly. Although, swimming in this river is not allowed but merely looking at it is a treat to the eyes. 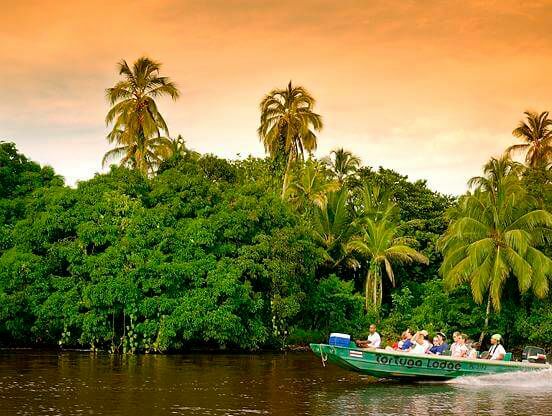 If you are a wildlife and nature lover, then Tortuguero National Park is the perfect place for you. This national park is nothing but a set of water canals and rightly called as the Amazonas of Costa Rica. You can reach the town and hotels of Costa Rica via flight also, but if you wish to try something new, then you should take a boat. The ride via boat is beautiful as it takes you through these water canals. You get to spot several monkeys, water birds, and crocodiles. Also, the lush flops around will leave you speechless. If you plan your trip around August to October, you can lucky to spot turtle nesting in Costa Rica. Tortuguero is the best home to turtles for nesting their eggs. See, now you know from where does this national park gets its name from. This experience you and your family will never forget and cherish throughout your life. 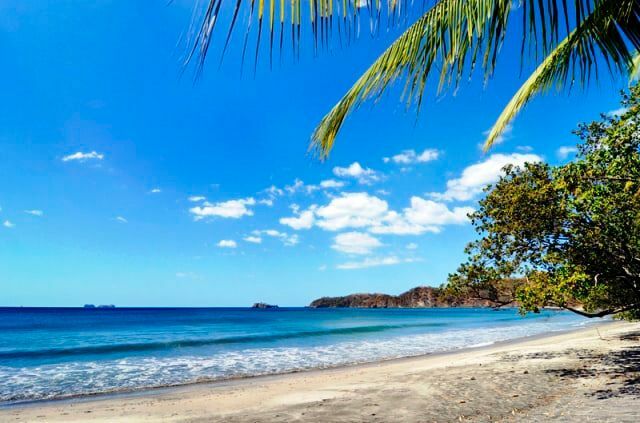 The most renowned beaches all around the globe are Guanacaste Beaches. In fact, owning to its serenity and beauty, many famous personalities have selected this destination to build a home for themselves away from the hustle bustle of the city. The clear waters, amazing weather on this 200 km stretch of the Pacific Coast has made it the ideal place for diving, surfing, horseback riding, swimming, fishing or simply lazying around with a book! We, at Costa Rica Focus, provide the best services in the field of tours and travels. We offer not only online reservations for holidays, but also give personal attention to our customers. We fulfill their requirements for unique travel packages, customized tours, hotel reservations, and other specialized packages. Our company has a dedicated team that thrives towards providing you a comfortable and memorable trip. Our proficient travel team renders our esteemed clients with detailed information about the places they like to visit. The professionals sitting here give you the custom tailored solution to your every travel demand. Whether it is organizing a vacation with a family or a business tour, we make it special. We ensure to make your experience glorious and unforgettable. Don’t forget we also offer specialized bird tour in Costa Rica!